JOANNE TATHAM is a favorite of audiences from her native New York to her adopted home in Los Angeles. "The Rings of Saturn, released March 30, 2018, is her fourth album. It's the highly anticipated follow-up to her critically-acclaimed 2015 release "Out Of My Dreams," which debuted at #26 on the JazzWeek chart and can be heard on SiriusXM RealJazz and other stations nationwide. Her music has found its way onto the soundtracks of television shows and independent films. Ms. Tatham appears frequently in the LA clubs Catalina's, Vibrato, The Baked Potato and Upstairs at Vitello's; and in New York she has appeared at Birdland, Jazz at Lincoln Center, The Town Hall and The Cafe Carlyle. Equally at home in the worlds of jazz and The Great American Songbook, Tatham has appeared in several prestigious Mabel Mercer Foundation Cabaret Conventions. The Washington Post hailed her "exceptionally beautiful voice... reminiscent of the pop balladeers of the late '50's and early '60's, but with a fine-drawn intensity and shimmering vibrato that are all her own"; while Penthouse Magazine urged: "If you get a chance to see Joanne Tatham perform live, get moving! She's something you won't want to miss." 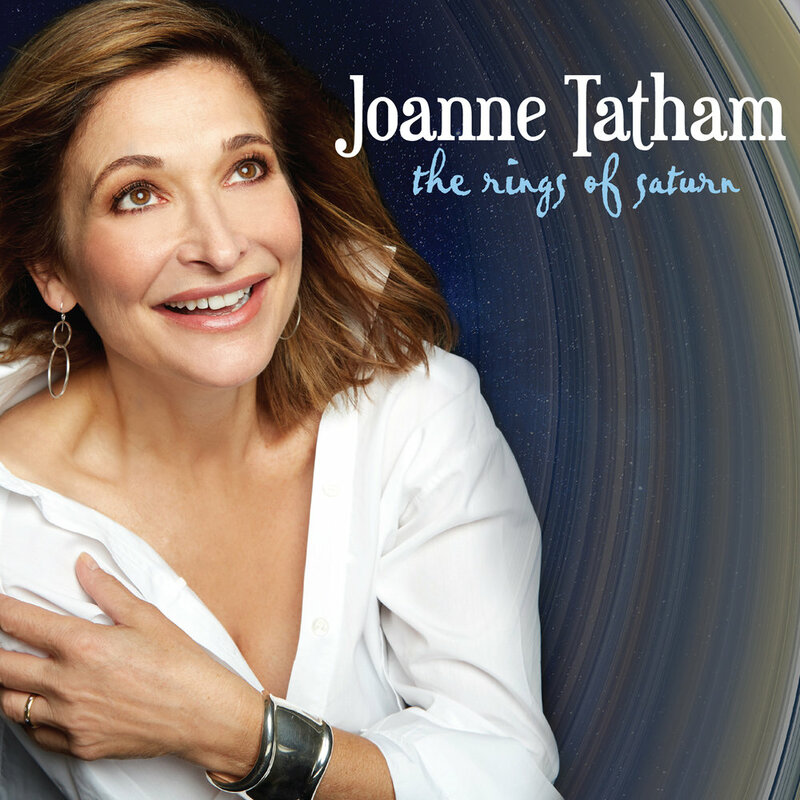 Tatham’s fourth CD is the follow-up to her critically acclaimed 2015 release Out of My Dreams, which debuted at #26 on the JazzWeek radio chart, solidifying her position as a top vocalist on the LA jazz scene and establishing her as an important jazz artist to watch. On this release, Tatham continues the tradition, laid down by the great vocalists of past generations, of finding first-class material to sing and swing with a contemporary sensibility enhanced with hip, new arrangements. The songs Tatham chose for this project are not your usual fare. While bookended by two well-loved standards, the rest of the selections range from Jobim gems, to re-imaginings of 70's pop to an original tune by producer Mark Winkler and an exciting, previously unrecorded title track. She is backed by a muscular rhythm section that lends a great energy to the proceedings. The 2015 release that brought Tatham national attention via the jazz radio airplay that resulted in her appearance at #26 on the JazzWeek chart. Out of My Dreams reveals her eclectic musical tastes, impressive musical chops and beautiful sound. On this recording she tackles Broadway, bossa nova, post-bop modern jazz, Dave Frishberg, and Harry Nilsson. Tatham also provides lyrics here to a beloved Herbie Hancock tune. Producer Mark Winkler assembled an all-star cast in support of this rising star: John Clayton, Peter Erskine, Tamir Hendelman, Mike Shapiro, Marcel Camargo, Jamieson Trotter, Lyman Medeiros and Bob Sheppard. Christmas favorites, some holiday curve balls and an original tune that went on to be featured on the hit TV show How I Met Your Mother make up Joanne's Christmas release. Produced by Barry Coffing with a rhythm section stocked with some of Houston and LA's finest musicians. The debut recording from a most promising vocalist, Making Light locates Joanne on the map where standards meet jazz meets contemporary repertoire. Backed by a rhythm section hand-picked by writers/producers Barry Coffing and Julius Robinson to highlight Joanne's natural vocal gifts, innate swing, and lyrical strengths, then punched up with a little big band featuring many of LA's first-call session horn players, Making Light makes for the quintessentially auspicious debut.